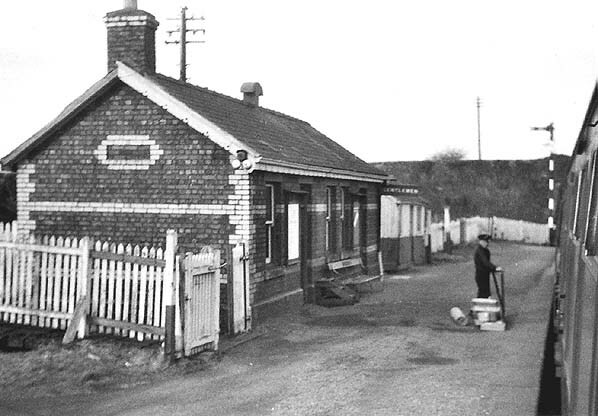 Llanwnda station looking north from a train en route to Bangor in August 1964. The train was a DMU, and one of the station staff is waiting on the platform with a consignment of packages. Tellingly, as the station was to close by the end of the year, there appear to be no passengers waiting to board.